Parents & Teachers - our spelling app lets you set up completely customised spelling tests for your children with the words they need to learn, or download pre-recorded tests (UK Eng.) created by KeyStageFun. Full in-app reporting so that you can keep in touch with your children's learning. Share tests between your devices. You can download over 200 pre-recorded spelling lists into the app, completely free of charge. These are based on the UK national curriculum and consultation with UK teachers. To see what these lists cover and which words are included, either look within the Parent / Teacher Zone within the app, or browse the lists online here. 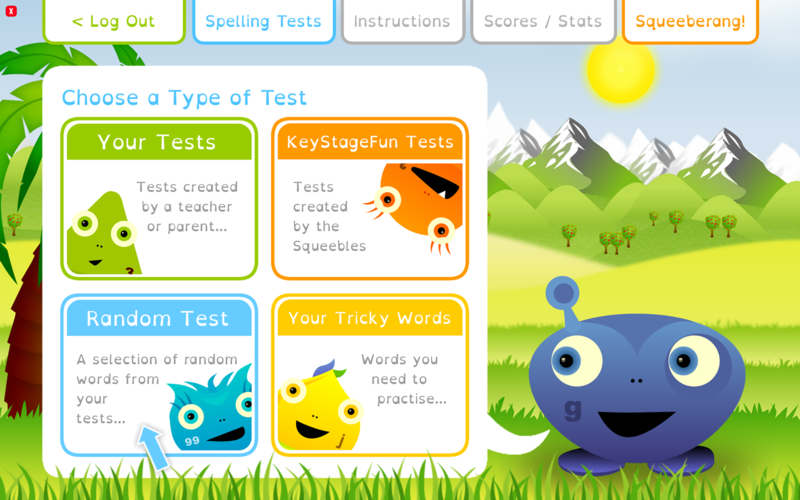 Customised Spelling Tests: parents and teachers can set up unlimited spelling tests for each player, with words suitable for that child. Tests can contain any number of words. Pre-recorded Spelling Tests: launched in July 2015, in response to customer requests and updated in March 2019, we now have over 200 pre-recorded spelling lists that you can download, free of charge, into the app. These tests cover ages from 4 to 11 years old and are in UK English. Squeebles Phonics tests follow the structure most helpful for phonics-based learning, while we also offer a series of tests that adhere to National Curriculum teaching requirements around spelling words. Find them all here. Share Tests Between Devices: share tests between up to 10 of your family's devices, allowing tests created on your device to be taken by your children on theirs. See our FAQ page for more details. Teachers can request a larger device limit for their classes so they can share between school devices more easily. Dyslexia-friendly Settings: we give you the option to use the OpenDyslexic font on a per-child basis to allow for easier reading for children with dyslexia. Suitable for All Levels: because a parent or teacher enters the words, the app can be used just as effectively for younger children just starting out with their spellings, as for older children. 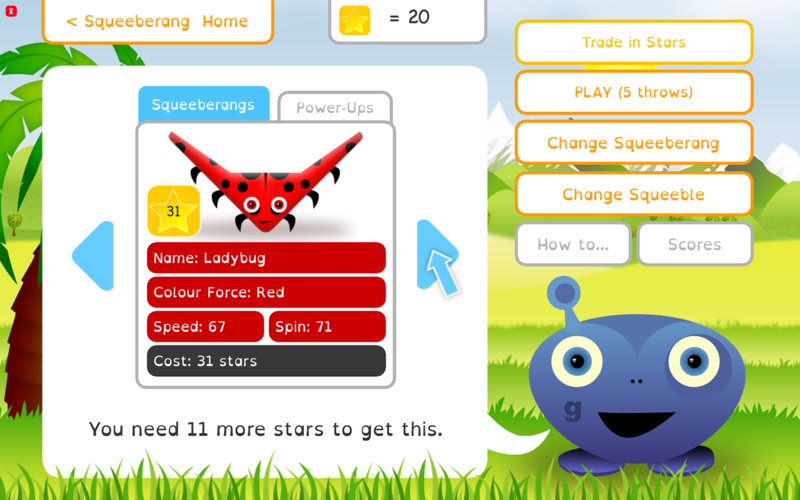 Great Reward System and Mini-Game: by doing well in their spellings, children earn goes on a fun mini-game within the app called 'Squeeberang' as well as stars to trade for Squeeberangs (boomerang type things that are used in the Squeeberang game). The balance between the spelling tests and this game means they have to keep doing well in their spellings if they want to progress on Squeeberang. There are 100 Squeeberangs to collect which can be used in the game, each with a different theme and 'costing' a different number of stars. Adaptable: when adding a word to a test, the parent or teacher records an audio version of it via the app's easy-to-use recording feature as well as entering the text version of the word. Each child can then be either allowed to see the word or not, as well as hear it, before being asked to spell it. So, as children become more confident with a particular test their crutch of seeing the word first can be removed, challenging them further. Several Game Modes: as well as standard tests, each child can also be tested on a random selection of words from all tests or on just their tricky words (words they answered incorrectly previously). Cursive Font Option: for children learning to write cursively, we include the option to allow for a cursive font to be used when spelling words. Stats and Reporting: stats are recorded for each child on a per-test basis. The app also stores the words they've spelled incorrectly (including how they spelled them incorrectly) and general stats on their progress to date. 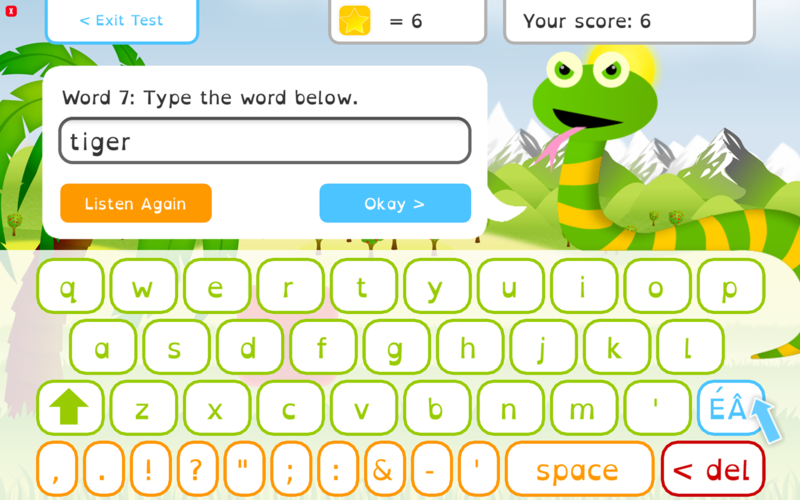 Individual Settings: each child using the app can have a completely personalised experience, with settings for keyboard type, UK or US English, how long (or if at all) they see the word for before being asked to spell it, whether they are asked to re-type incorrectly spelled words immediately as well as several other individual options. No In-App Purchases: the app costs a one-off, up front fee and that's it - we will never charge you more for extra features or to unlock progress. No Ads: we never display ads in our children's apps. Some brief tutorials on creating and sharing spelling tests via the app are available to watch on our YouTube channel, here. "By far the most productive app I have ever purchased for my 5 year old!!! I had been struggling to keep her interested and she was becoming reluctant to even look at her spellings until we had a go on this, I don't mind the 5 minutes it took for me to enter this weeks school spelling list in and don't mind that I will have to update them on a weekly basis, because after just a few attempts she has learnt her spellings mostly on her own with very little input from me and without the usual hassle of trying to sit her down and force her, I will most definitely recommend this app and purchase the rest of the bundle. Thank you sqeeble for making my job as a parent just a little bit easier!!" "This is a great spellings app. Our 5 year-old loves it. The rewards of stars and squeebles work well to keep her motivated as she loves the squeeberang game at the end of the test." "A simply brilliant app, amazing design, fun and easy to use and full marks in all spelling tests since September for my eight year old. You can't fault Squeebles and we now have all the apps on release. Thanks to the Squeebles team." "Great app! Could put in all the tricky words that my daughter has to learn for school so she could practice them every day in a fun way." "Happy to report that since we've been using this app over the last few weeks both children have had 10/10 on all school spelling tests!" "This has really brought my sons spelling on. He was only getting around 5 out of 20 before this app. He hated writing out spellings, but will do them on here every day." "My son is in year 2 & after a year of weekly spelling tests I was looking for a new way to approach them at the start of the year. We are in week 8 now and have used this app since week 1. No more "oh mum" No more "why do I have to" it's now "I want to get more points" "mum I want to do another test". Results me happy, son happy & school results are great too." "My son responds so much better to this app than to 'look, cover, write, check' with paper & his spellings are coming along brilliantly since using it. Worth every penny." "My daughter and I love this app! She enjoys studying her spelling words now." "My daughter practices her spelling list on this every night. It works great, easy to use and set up. She loves earning points to buy squeeberangs. Way more fun than practicing on paper, and helps them find their way around the keyboard too." 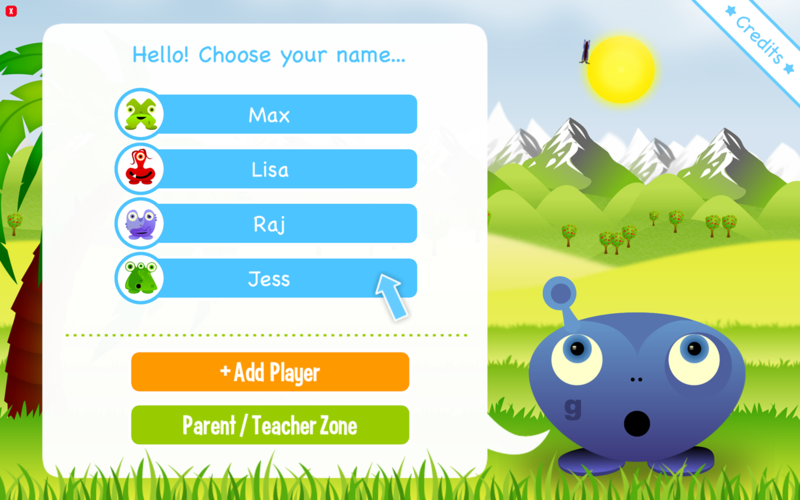 "Finally, an educational app that can be modified for each specific child. The ones I have purchased in the past have either been too easy or too hard and there were no options to tailor the apps to what my children are learning. This app is so easy for me to input their spelling words each week and for each child to test themselves (while thinking they are playing a game) on their specific words. Now my 1st and 3rd graders fight for their turn to quiz themselves! " "My husband and I enjoyed recording our daughter's weekly spelling words (using silly voices, of course!). My nine year old was giggling as she learned - who knew spelling could be so fun?" "I prefer my son to play educational games, but there aren't many out there that will hold his attention like some of the mindless game apps do. Imagine my surprise when he not only willingly played the game (over & over), but I had to make him stop because it was bedtime! I love that I am able to customize the list to match his weekly spelling list so he can practice for his test each week. I also like the option of having the word displayed for a period of time before he has to spell it...a technique I've used often as a teacher!" "This is a great app, it's really encouraged my children to practice their spellings as they want to try and rescue all the squeebles and play on the squeeberang game. It's great that it can be customised for each of them with their spelling word lists for school. Another 5 star squeebles app!" "Great app - only thing that would be a good addition would be the ability to select the tests that the random word tests are taken from - eg this terms spellings etc. Tricky words tests is also great. Another well thought app." "just down loaded and looked through this myself, you can set individual tests and record the word. Lots of different functions. Have yet to let the kids free on it but so far impressed." My daughter was failing more then half her spelling test, I don't always have time I would like to work with her. It only takes me a few moments to create a test then she can work on it several times a day up until test time, repetition is key with her. She gets mostly 100s with a few 95s here and there now. Easy to use for parents. Makes spelling fun for my daughter. My daughter used this when she started in reception and started getting weekly spelling tests. This app is a perfect way for me to make it fun for her. And I like how I can tailor it to the words she's actually learning. Perfect! This is a great spellings app. Our 5 year-old loves it. The rewards of stars and squeebles work well to keep her motivated as she loves the squeeberang game at the end of the test. Brilliant! My daughter is happy to learn her spellings every week with this app! Downloaded this, this week, entered in the words and recorded the words (took 10 mins MAX) and my daughter was practising at every opportunity she had. Also got 19/20 in spelling test this week, from an average of 12-15/20 ... Brilliant! Have the multiplication app too which is also fun! Brilliant Aps keeps them coming! A great app for your child's weekly spelling tests. Parents get to enter lists of words both typed & verbally. Child then gets to see & listen to each word (for a time limit if required) before going blind & typing what they think is the correct spelling. They can listen again if needed. Easy to add extra players and to add/edit/delete tests. For my dyslexic & dyspraxic son this should be a great help. Brilliant app! Has made spelling homework much more fun! Great app! Could put in all the tricky words that my daughter has to learn for school so she could practice them everyday in a fun way. This is a fantastic game for learning spellings. I add my daughters spelling list from school every week and she has a great time learning them, and doesn't even realise she learning she enjoys it so much. The only problem I had was the lack of instructions in the app to set it up. Once I took the time to look at their web site it all became clear (some good you tube videos showing step by step) now it takes just a few mins to add the tests each week. I would highly recommend this app. A great way to learn weekly spellings for school. Options for the length of time a word remains on the screen or if preferred just a recording of the word is heard, just like a test at school. Any words spelt incorrectly go into a tricky list. Our children (7 and 10) really like this app and enjoy collecting the rewards. Fantastic learning tool for my 6 yo son who prefers to learn this way. He thinks it's great that he can hear my voice saying the words! Excellent that you're able to put in your own words to practice, perfect for the weekly school tests. Only criticism is that the keyboard would of been more accessible for a younger child if it was in alphabetical order. He was struggling to locate the letters. Great app! Have purchased the times table one too. You can add your own list to the app and edit it, it also provides some squeebles if the spellings are correct which can then be added and a game is provided. A must for children who do not like or struggle to learn spellings. This is a very hands on app and is great for children who learn in a more visual way. Very easy to use both for child and adult! A great resource for helping your child to learn any spellings that you want in any language. Just add the words, record yourself or your child saying the word and then they are ready to start learning the spellings. Any words that are spelt incorrectly are grouped together into a 'tricky word' category. Includes game reward system. 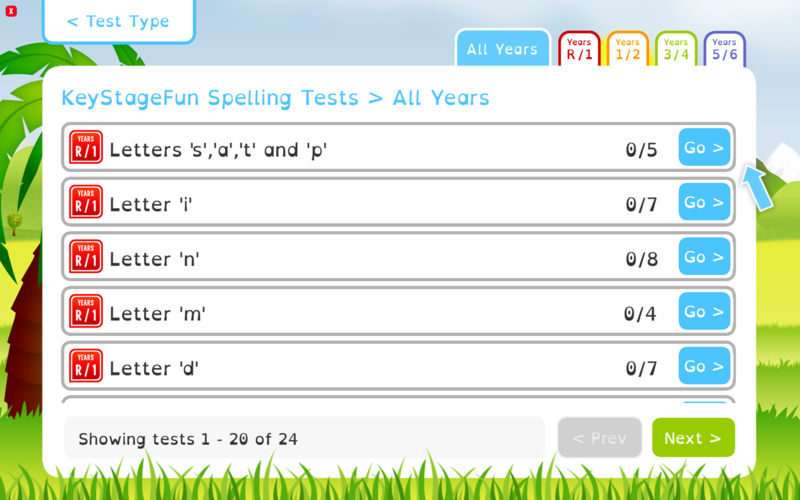 Easy to create your own tests from your child's weekly school spelling list. My children are happy to practice their spellings this way and I no longer have to nag. They are also able to do a "tricky" test which is made up of the spellings they got wrong. Have just bought this for my reluctant 8 year old. He has difficulty with spellings and therefore never wants to practise. The fact that I can add his spellings each week is great. I would recommend this to anyone with a primary age child. Wonderful. 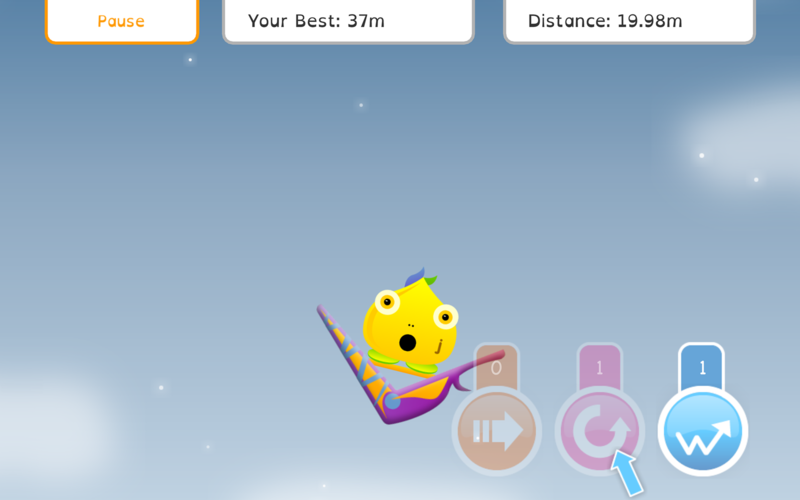 "Brilliant app my 5year old loves it. As a Mum I think it's great and as a teacher I know it'll be very successful. A great app."